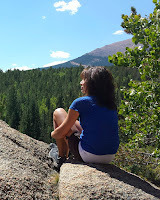 This post has been weeks in the pondering and the typing…I have been going through a variety of frustrating health issues along with some adjustments and changes in my role of mother and teacher to my children as they grow in their teenage years. Today, as I face yet another health issue, I can’t help but wonder what God is trying to teach me. I KNOW He is teaching me something through it all because I don’t believe anything is wasted as we encounter any circumstances in living daily life. In the past few months I have been humbled within the mind, within the emotions, and within the body. As I endure each health issue and its complexities, I come face to face with my physical frailty and the frailty in the human wisdom of doctors. As earthly wisdom often fails, I know and completely trust in THE One Great Healer Who never fails—He is my Doctor, my Rock, my Fortress, and my Strength. Just maybe, feeling too sick to do other things today is helpful in giving me time to sit at the computer and finally finish typing this post? Only He knows. Through reading the unChristian book early this month God really began stirring things up within my heart regarding His love expressed through Christ Jesus. His faithful and unconditional love became one of the themes for me. I began looking through the gospels again and focusing on reading Jesus’ words and paying renewed attention to his actions. Jesus spoke these words and taught these concepts on behalf of God, our Father in heaven. As His children He asks us to glorify Him and display Him to the rest of the world around us. God does not ask us to do anything He does not do Himself. He does not behave as all earthly parents (self included) have behaved sometimes with our own children—displaying “Do as I say, but not as I do” actions. We tell our kids to do or not do something and how right or wrong it is and then we find ourselves doing the very opposite of what we have instructed them. God is GOD and He does not fall short in the same manner. What He asks us to do in how we relate with others is the way in which He relates towards all mankind; He does not fall short of His own instructions to us. Jesus said, “He who has seen Me has seen the Father” (John 14:9). Christ Jesus, the Son of God, is the very “image of the invisible God” (Colossians 1:15), “the radiance of His glory and the exact representation of His nature” (Hebrews 1:3). When we look at Jesus’ character and behavior, we are looking at the exact representation of who God is. So let us take a closer look at Jesus and His actions while on this earth. We can surely learn a whole lot from Him. He cured them. It doesn’t say that He went around condemning the people, pointing fingers at them, telling them to straighten up or else, telling them they deserved whatever ailment or trouble they had, or blaming them for the wrongs of the world. He taught, heralded, and cured. He offered and spoke the truth of God with double portions of grace and mercy. Looking upon the masses of people, all of them sinners in one manner or another, all of them unrighteous for one reason or another…He felt compassion for them. He didn’t call them out throwing their sins in their faces and suggesting that if they would just change their ways, He might help them out. Instead, He felt compassion for them; a compassion that moved Him to doing something to help them. He taught, He fed, He healed, and He gave sacrificially without expecting anything in return. He didn’t rebuke the masses of the people; He rebuked the religious leaders who thought they knew it all and were above others. He even rebuked the disciples if they behaved with any hint of self-righteousness, or if they tried to keep Him from ministering to anyone. I came across a new website and ministry community today, The Simple Way. This led me to the link on Shane Claiborne, a follower of Jesus committed to loving like Jesus and involved in the Simple Way community. His page link led me to a sample chapter of the book he authored, The Irresistible Revolution: Living as an Ordinary Radical. The love of GOD…the unconditional…unbound…unending…unstoppable…love of God through CHRIST Jesus, His Son. HIS love is not one of convenience. It is one of unconditional and compassionate action.